Growing Darlingtonia in NW Fl advice please. 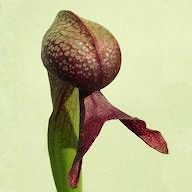 Okay, so I recently purchased a Darlingtonia and it is on its way right now, and I need advice as to how to keep it alive in the heat of summer. Any advice or suggestions about soil, cooling, shade, etc, are welcome and deeply appreciated. Thank you! I would have seriously thought about this before you purchased the plant. Do you know if it is a coastal or a mountain form? Coastal plants are the ones that require cool roots and low temperatures overall, but the main concern for the species is soil aeration. This is why every site they grow at has flowing water, even if soil temps can spike to over 90 F in some cases with mountain plants. I use a soil mix of long fiber and live sphagnum with perlite, and the pot has holes along the sides to promote air movement. Other people have set up elaborate pump systems or frequently water overhead and let it drain. If the plant is a form requiring cool temps, placing ice cubes of pure water on the soil surface can have a desired effect. Yeah, they aren't the kind of plant you can easily prepare for after you buy it, they require pretty elaborate set ups. .....This is why every site they grow at has flowing water, even if soil temps can spike to over 90 F in some cases with mountain plants. Interesting how you say the plants have water constantly on the roots in nature yet you drain it off. The theory behind this is? ......... they require pretty elaborate set ups. Live Sphagnum moss or live Sphagnum/Perlite mix - a gravel tray - water - a Darlingtonia. Maybe you could share some advice then? Sorry, I should of said I actually received it as a gift that someone else purchased for me, I told them I would like to have the plant some day, but they didn't realize that it was because of climate I couldn't have it. I had a plan before created this thread but did not have time to write it out. I plan to suspend the pot over a slightly larger bucket of water that is in the shade, I have a water pump that I can use to pump water out of the bucket and into the well drained pot where the water will then fall back into the bucket, and then since it was said that aeration is the main problem not heat I can insert a aquarium air stone into the soil to improve aeration. This may seem like a lot but the temps here can reach 100 F in Florida easily and i want to do whatever it takes to keep this plant alive. Any improvements or suggestions on my idea would be appreciated, thanks for the help! Certainly partial shade may help. As for what I said above, aeration is the important part. The flowing water accomplishes that in nature, the open holes on my pot a similar effect in cultivation. Though certainly, is there is a way to cool the plant, though not always necessary, any cobra lily will appreciate it, especially at night. Now I am wondering why my own plants manage to flourish so well when they sit in flooded trays of Sphagnum. There is no water movement once I have filled the tray until the next top up. I would say that the most obvious effect of the flowing water in nature is that it keeps the roots wet. Just how aerated is the water in a seep? Extremely. Seep water usually comes from cool springs, it's full of dissolved oxygen. Could be the Sphagnum has a role to play in their success. Interesting, can you supply the reference to the oxygen content in seep water please.